A: I agree with everything you said. I would also add Indonesia as a possibility, but that’s not much help when you consider how large and diversified it is. 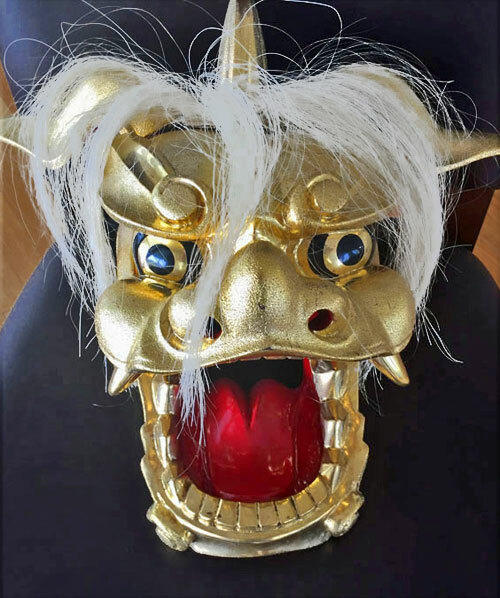 There are some serious mask collectors who read these blogs regularly. Be sure to enlarge these excellent hi-res photos, especially the rear view. I hope you have an idea to share. A? That’s a tricky one indeed. Probably not Japanese. Morphologically, it looks vaguely Indonesian, except for the eyes and the choice of wood. 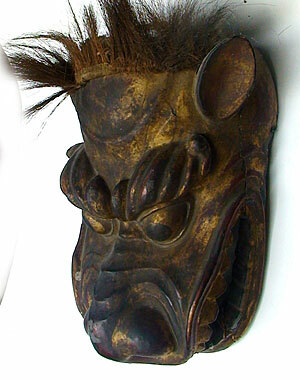 Most (not all) ritual Indonesian masks are made of pule wood, which this is not. My best guess is Ecuador. 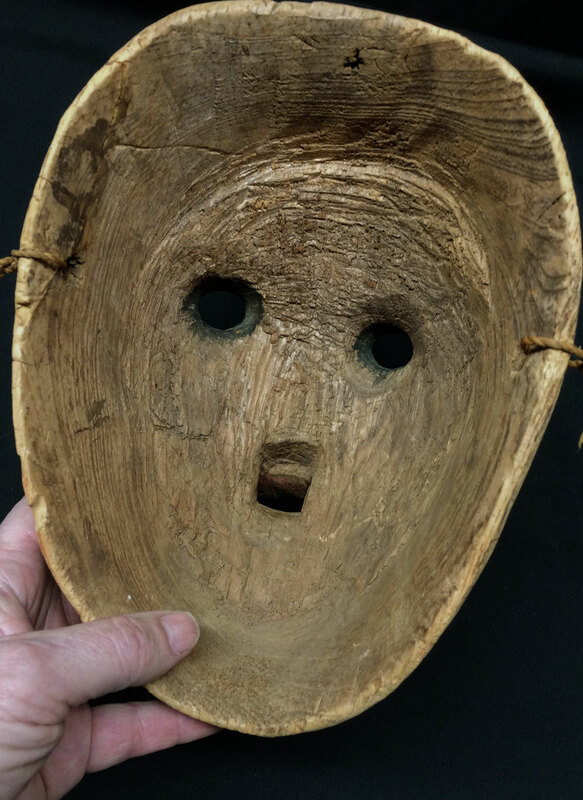 The eyes are typical of Ecuador, and the wood looks like it could come from that region. Also, I’ve seen some older Ecuadorian masks with similar coloration. Good to hear from you. And thanks for mentioning the Ecuadorian eyes. I’ve spent some more time looking for that protruding nose and lips. No luck so far. I wish Joseph Gerena was still around! Like Aaron, I also am inclining towards Ecuador, as of those blue-lined, circular eyes. 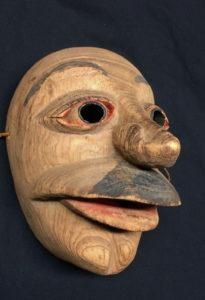 However, I somehow doubt that the mask comes from the Ecuadorian Cotopaxi Highlands, as they seem to almost always use the heavy hardwood and produce thick, large carvings. The wood seems to me rather coming from the Amazon,as it is balsa-like. Maybe it’s some kind of geographical hybrid from that region, who knows…. That mustache actually points towards Latin America anyway, in my opinion. Chris makes a good point. 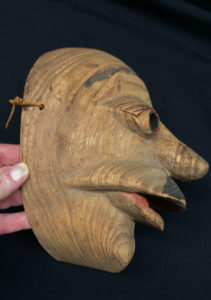 I also have never seen an Ecuadorian mask so thinly carved. Normally they’re chunky. Maybe some other part of Indonesia, or possibly India. Chris mentioned the possibility of a hybrid from between the Andes and the Amazon. I have occasionally experienced this happening all the way down from Ecuador to Argentina. There are a few small tribes scattered along this North/South line that practice masquerade. Unfortunate, I know very little about them. I appreciate the comments and input. I use Google images for research on items like my mask and I can almost always find something similar. But with this mask and the unusual style of the eyes and mouth (and lips), I’m not finding anything like it. 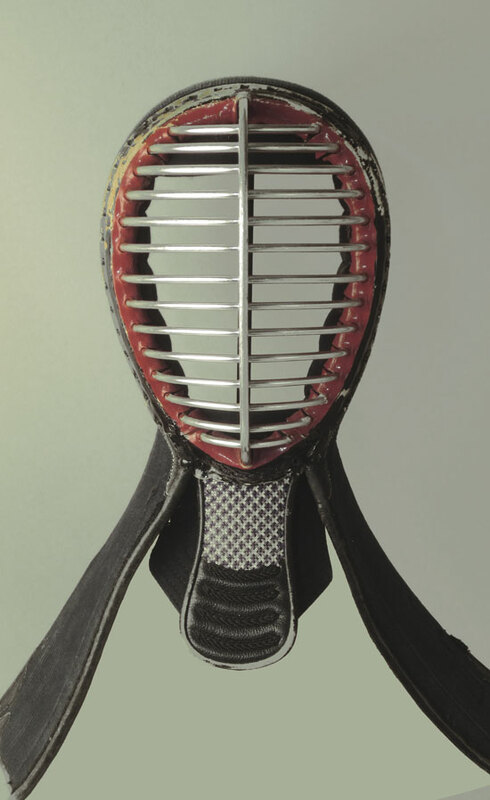 Even as a subset on another mask. So, your suggestions give me more key words to toss into the search string. I did spend some time trying to figure out the wood and Larch seems like a good choice. But it doesn’t really help narrow things down since it grows around the world. Anyway, I’ll keep my fingers crossed. Thanks again for the suggestions.